The opening ceremony of the 3rd stage of FIDE Grand Prix Series 2012-2013 the Renova Group Grand Prix took place at the SwissEver Hotel Zug 6 p.m. on 17th of April. The ceremony was attended by FIDE President Kirsan Ilyumzhinov, FIDE CEO Geoffrey Borg, Chief Risk and Compliance Officer from Renova Group Rolf Schatzmann, Director of the Sport Office of the Canton of Zug Cordula Ventura, Ambassador of the Republic of Azerbaijan Arkam Zeynalli, First Secretary of the Embassy of the Republic of Azerbaijan Ramin Mirzayev, First Secretary of the Embassy of the Russian Federation Konstantin Ushakov. Watch India Time Live: 5.30 pm at official website. At the start of the ceremony Director of the Sport Office of the Canton of Zug Cordula Ventura welcomed all the players and guests on behalf of the government of the Canton of Zug. On behalf of Renova Group and its chairman of the Board Directors Mr. Viktor Vekselberg, Rolf Schatzmann welcomed all officials, participants and wished the players to use the opportunity to learn more about the history of Switzerland, visit Zug and its suburbs. Rolf Schatzmann also explained why Zug was chosen to host the 3rd stage of Grand Prix: “Mr. “Viktor Vekselberg lives here and he thought it would be nice idea to organize such an interesting chess event in the canton of Zug”. Before officially opening the event, Kirsan Ilyumzhinov greeted all the participants, guests and expressed his gratitude to Renova Group and its chairman of the Board Directors Mr. Viktor Vekselberg, sponsors, mass media representatives for their support and dedication to chess. “I’m confident that we will all savor the hospitality of the people of Switzerland and will fully appreciate the high organizational level of this sport celebration!” said FIDE President. The Chief-arbiter of the tournament IA Panagiotis Nikolopoulos conducted the ceremony of drawing of lots. Each participant was proposed to choose one of 12 boxes with famous Swiss chocolates and the numbers inside. The first round will be played on Thursday, April 18th at 14:00 local time with the games Morozevich-Kasimdzhanov, Mamedyarov-Ponomariov, Caruana-Radjabov, Karjakin-Nakamura, Giri-Topalov, Leko-Kamsky. 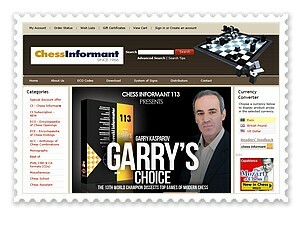 Over eleven rounds, twelve of the strongest players in the world will take part in uncompromising chess battles. 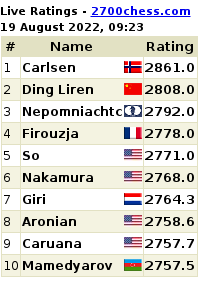 Among 12 participants there are three former world champions Ruslan Ponomariov (Ukraine) and Veselin Topalov (Bulgaria), Rustam Kasimdzhanov, World Rapid Chess Champion Sergey Karjakin, the top players of the USA, Italy, Azerbajan, Russia. Teimour Radjabov (Azerbaijan), the rating favorite of the 3rd stage, will take part in GP tournaments for the first time. 2007 World Cup Winner Gata Kamsky (USA) replaced Vugar Gashimov (Azerbaijan) for the rest of the cycle. Time control: 120 minutes for the first 40 moves, 60 minutes for the next 20 moves and then each player will be allotted 15 minutes after the second time control and an increment of 30 seconds per move will be allowed from move 61 onwards.